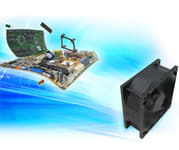 YS Tech USA is your #1 source for innovative thermal management solutions. We are constantly working to improve the quality and performance of our products to meet the needs of our customers’ most challenging applications. Our Advanced Technology R&D Center uses simulation, thermal validation, CAD modeling, contact analysis, and other proven processes to develop the state-of-the-art products our customers need. Our thermal solutions deliver the performance and reliability you’re looking for. Our new EYW08032 – Series Fan was developed using computational fluid dynamic and state of the art motor simulation software to achieve exceptionally high static pressure output at far lower current draws that would be typical of a fan of this class. 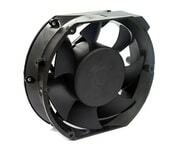 This fan can be used in a wide variety of high demand applications such as Industrial and Telecom where high output, high efficiency, and extreme longevity are essential. Our new EYW12038 – Series Fan was developed using computational fluid dynamic and state of the art motor simulation software to achieve exceptionally high static pressure output at far lower current draws that would be typical of a fan of this class. 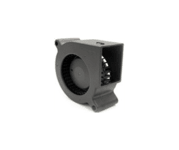 This fan can be used in a wide variety of high demand applications such as Industrial and Telecom where high output, high efficiency, and extreme longevity are essential. Fans in this series use four pole motor design which allows us to provide these features at a very aggressive price point. YS Tech’s Power Series AC to DC fan provides 80% greater performance than traditional AC fans, with airflow volumes up to 46 CFM. Our unique, low-noise design delivers up to twice the airflow as other AC fans, while using 1/5 the power. Our IP67 fans are specially protected against the elements, for dependable performance in challenging work environments. Complete IP67 encapsulation protects against dust ingress and full water immersion up to 1 meter. 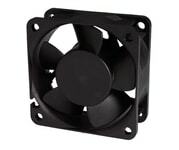 These next generation 60mm x 25mm W-Series low power fans are precision engineered using CFD modeling technology for optimum performance. New blade designs, new starters, and new drive circuits help provide power and reliability with reduced power consumption. 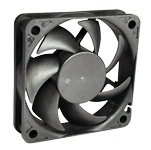 Our 60mm x 25mm dual intake DC blowers utilize wheels for air intake, rather than the propellers that axial fans use. These powerful centrifugal blowers feature brushless DC motors for high efficiency operation. YS Tech’s newest 6” DC-powered fan, the Series 172, is designed to deliver airflows up to 460 CFM, and can achieve an incredible 57mm H20 of static pressure. 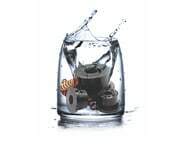 The proprietary motor design provide reliability and sustained high output in demanding applications. 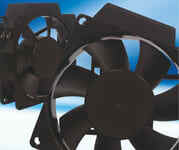 Xtreme Series fans provide higher CFM and static pressure in the same footprints as our standard fans. High performance bearings and motor mounts, robust construction, and high reliability make Xtreme Series fans the ideal solution for even your toughest thermal management challenges. Our Sintetico bearing is designed for greater reliability than traditional sleeve bearings. Sintetico bearings provide up to 50,000+ hours of working life at elevated temperatures, with quiet operation. State-of-the-art engineering ensures high performance in any application. These new S-Series DC fans were developed using advanced motor simulation and CFD optimization software. 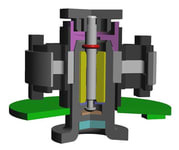 They provide high RPMs and high pressure, with low power requirements and a long working life. Robust construction ensures reliability and durability. 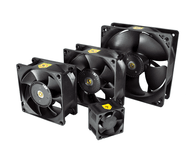 YS Tech’s E-Series low noise fans are designed for quiet operation in continuous operation. Using CFD optimization technology, we optimized these fans’ flow and pressure capabilities to provide high performance with 10-20% dba reduction over competitors’ models with comparable flow rates. From our high performance AC to DC fan to the unique design of our Sintetico bearing, YS Tech USA is an industry leader in innovative thermal management solutions. Contact us or find your local distributor to place an order or for more information on any of our new products. YS TECH’s Extreme Series has a broad offering of frame sizes with high airflow & static pressure ratings typically seen in blowers. With highend features such as brass bearing/motor mount, larger bearings and heavy duty construction providing a robust solution for your application. Y.S Tech’s new Sintetico bearing is designed to offer greater reliability than traditional sleeve bearing systems. Many mechanical upgrades and design features enable us to offer up to 50,000 hrs of life at elevated temperatures as well as great sound quality. The new S Series is the latest development by YS TECH, state of the art motor simulation software and CFD optimization have been utilized to come up with a new series of fans that have very low current draw, high rpm, high pressure and long life characteristics. The new E series has been developed for applications today that require 24/7 operation and very low noise characteristics. YS TECH has utilized CFD simulation technology to optimize the flow and pressure ratings while greatly improving the sound quality.